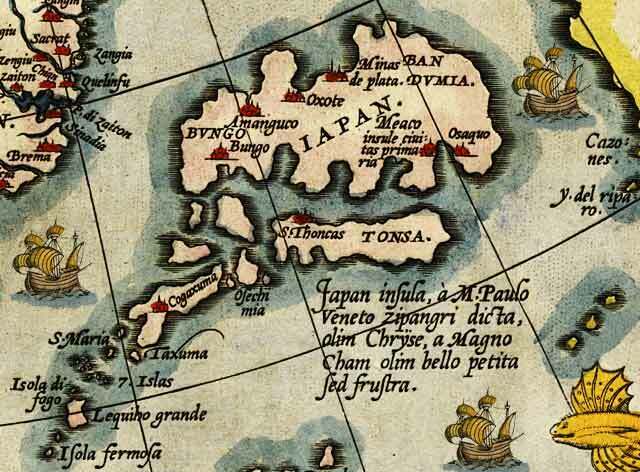 Some records indicate that Chinese and Korean cultural influences reached Japan as early as the 7th century AD and the origins of certain Japanese games can be traced to these influences. 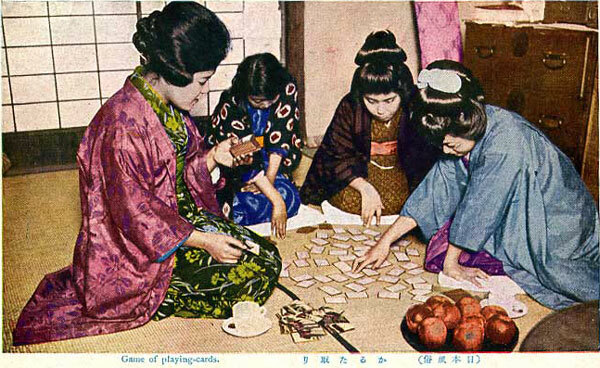 One such game was a matching game and the Japanese adaptation made use of hand painted pictures of natural objects on seashells. 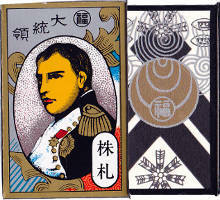 Above: Yomifuda cards with two lines of the text from a poem and an image of the poet who composed it. 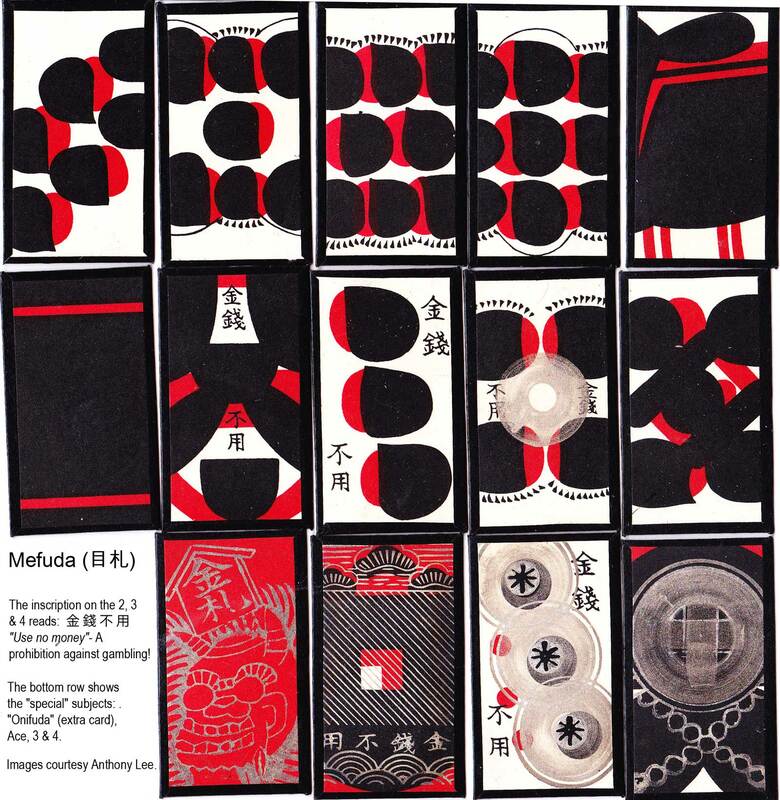 These form part of a particular kind of matching game called Uta Garuta which is basically a poetry anthology (the Hyakunin Isshu, or 百人一首), transposed onto cards. 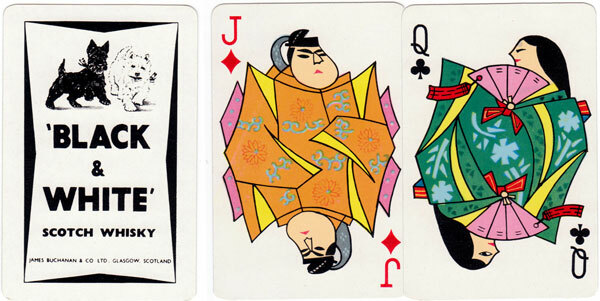 The game actually consists of a pair of decks, the Yomifuda, and Torifuda, giving a total of a hundred short poems of five lines, called Waka (和歌). 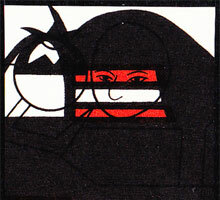 Images courtesy Anthony Lee. 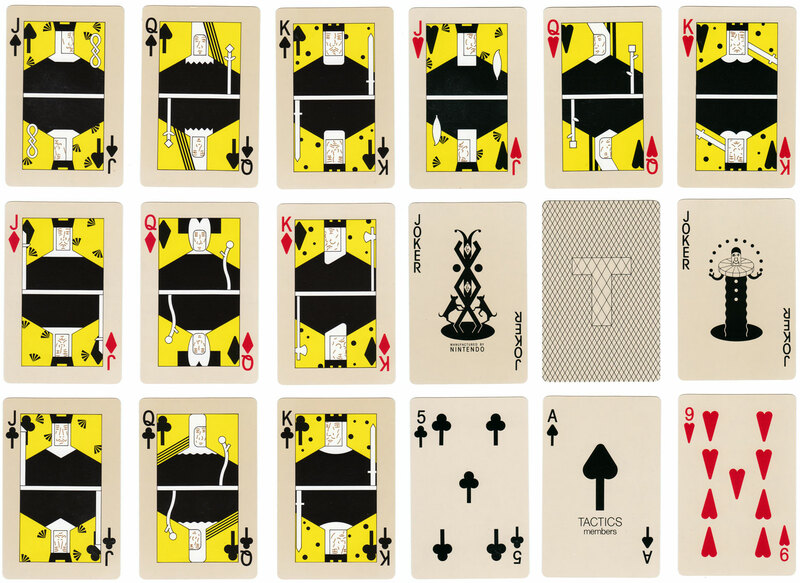 The use of suit signs first came to Japan from Europe when Portuguese explorers reached Japan in 1542 or 1543 bringing their playing cards with them. 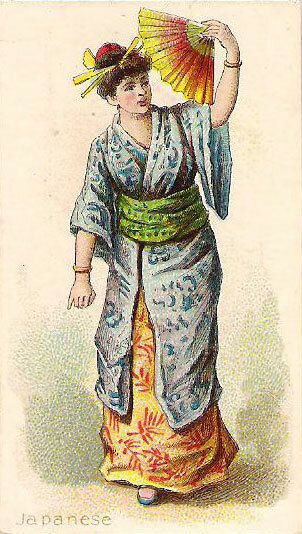 Their cards were banned in a prohibition of 1648; however, they re-appeared in disguised forms and evolved into several variant types. 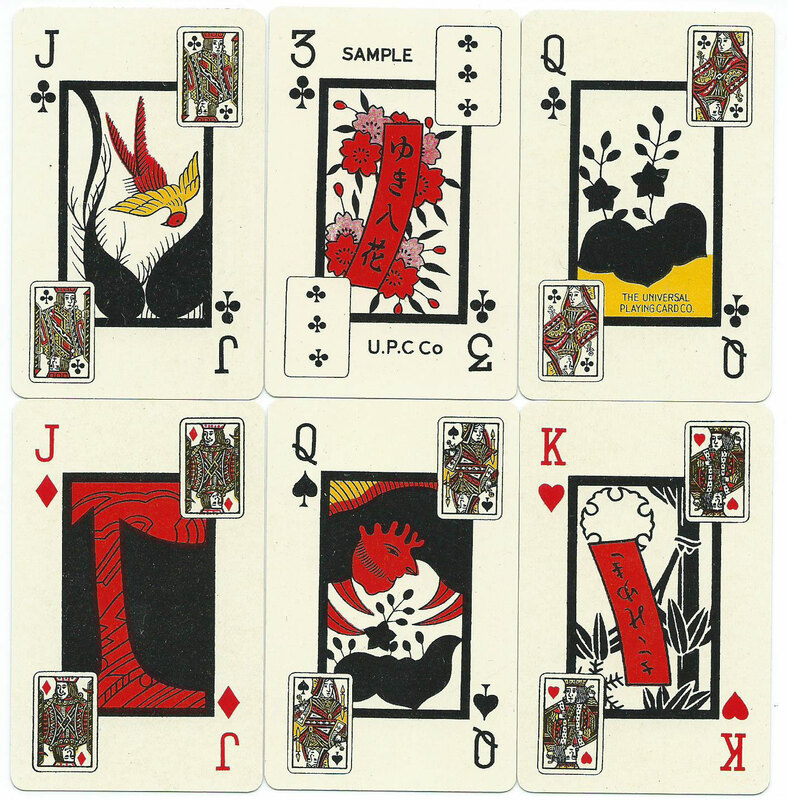 Local versions of Portuguese cards with dragons on the Aces either depicted court figures in contemporary western costume or were the product of idiosyncratic interpretations in local idiom. 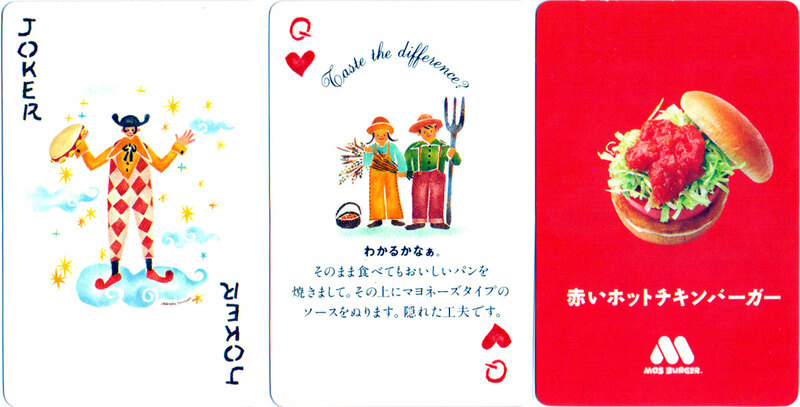 In general terms, Japanese playing cards are of two types: ‘Awase’ or ‘matching pairs’ cards and Portuguese or Spanish-derived ‘Dragon’ type cards. 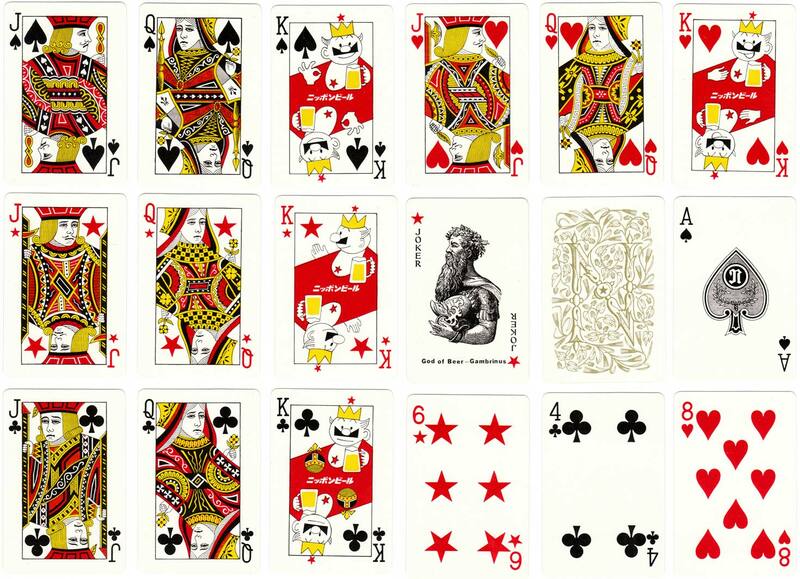 These have dragons on the aces and are believed to have originated in Spain, Italy or Portugal. 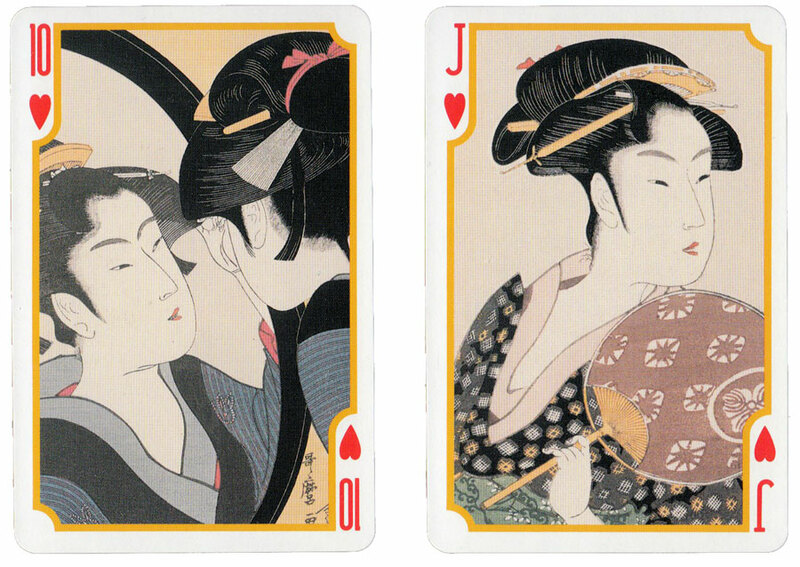 There are several varieties of the latter type, including Mekuri or Tensho cards, Unsun Karuta, Akahachi, Kabufuda, Komaru and Mefuda. 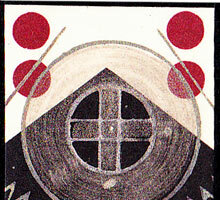 Hanafunda cards are somewhat more rigid than western cards in that they are made of a stiff cardboard that has been lacquered. 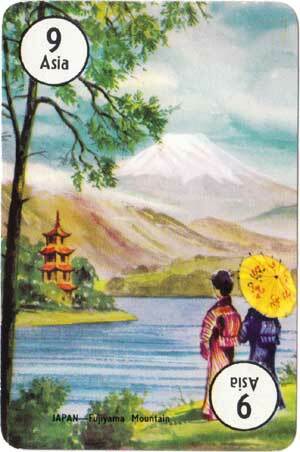 Above: Japanese post card titled "Game of Playing-cards"
Above: Durara!! 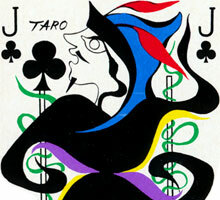 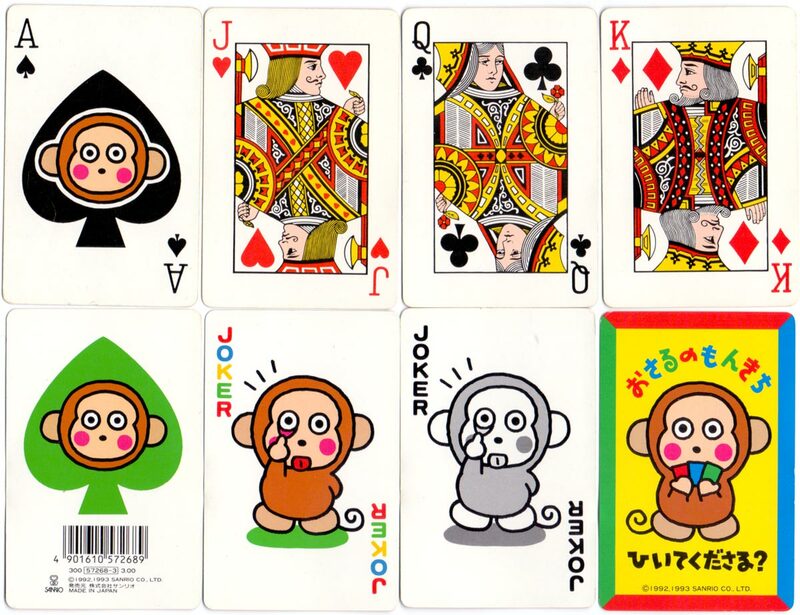 anime playing cards, 2010. 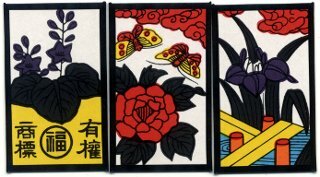 Above: One Piece Hanafuda King card set published by Beverly Enterprises Inc, Tokyo, 2010. 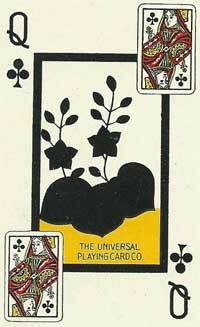 In 1889, Fusajirô Yamauchi began manufacturing “Hanafuda” or “flower cards” under the brand name Nintendo Koppai. 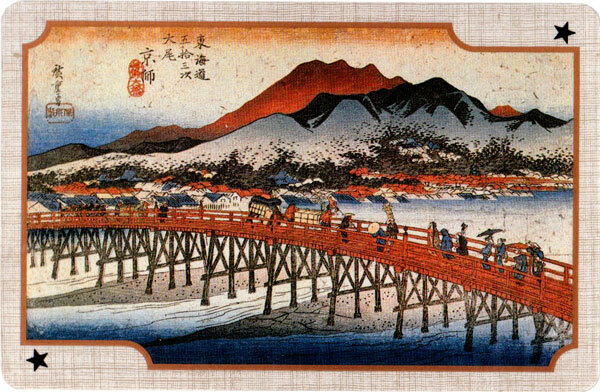 Cards were hand crafted using the bark from mulberry and mitsu-mata trees. 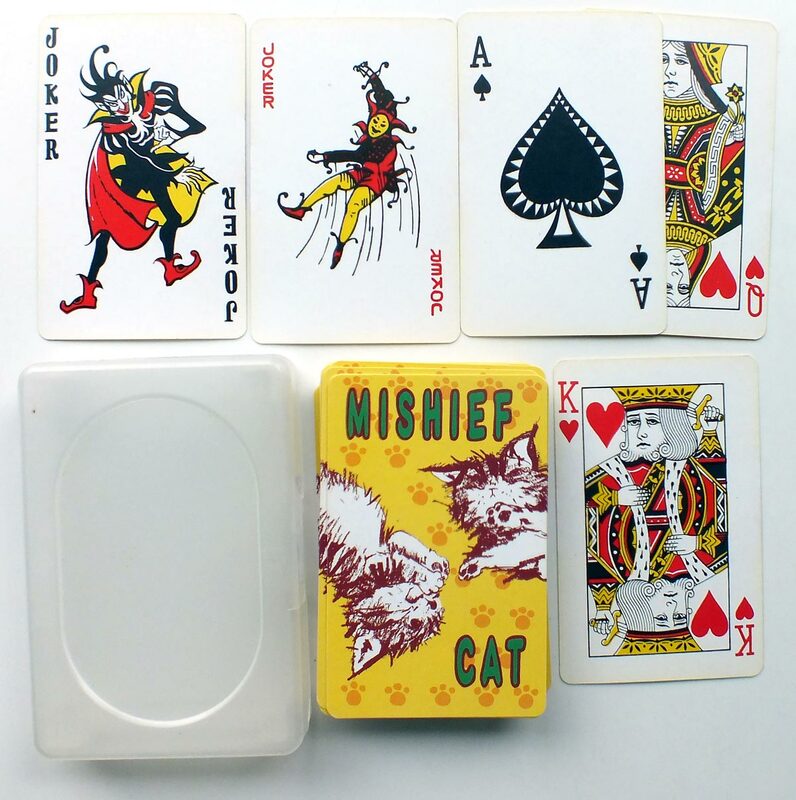 Around 1902 the firm began producing Western style playing cards. 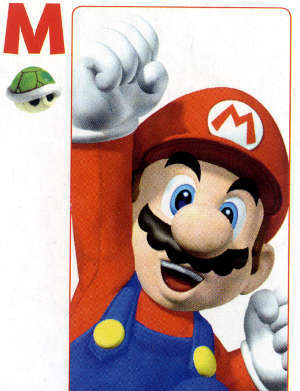 Throughout the decades that followed, the Nintendo firm branched out into production of different kinds of toys, gaming, and entertainment products, culminating in increasingly complex electronic video games. 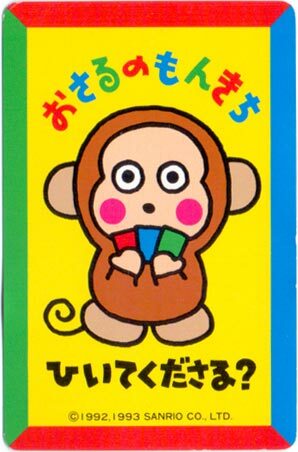 In 1951 the playing card distribution company became known as Nintendo Playing Cards Co. Ltd. (or Nintendo Karuta Co. Ltd in Japan). 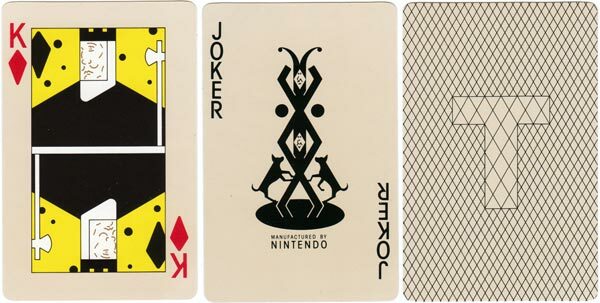 Nintendo still manufactures a small number of Hanafuda and Western style playing cards as well as the Pokemon trading card and collectible card game. 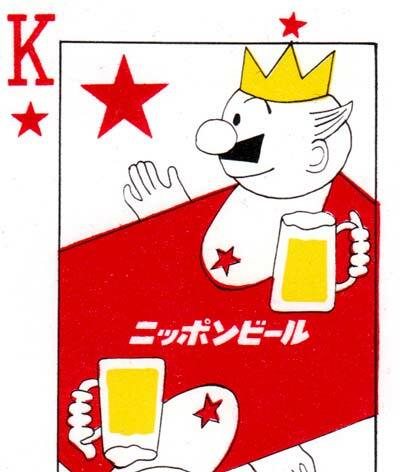 Above: advertising deck for Mos Burger, Japan, 2015. 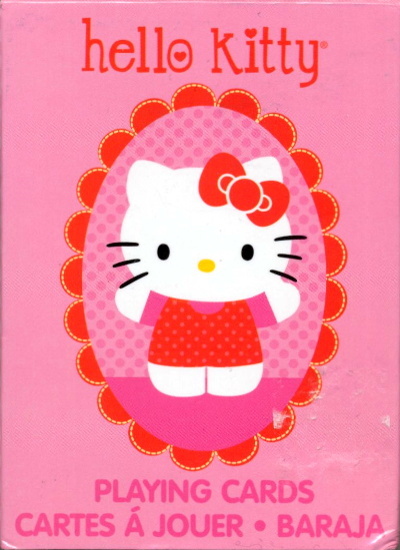 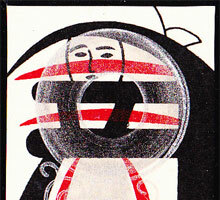 Above: Japanese themed card from Round the World card game.